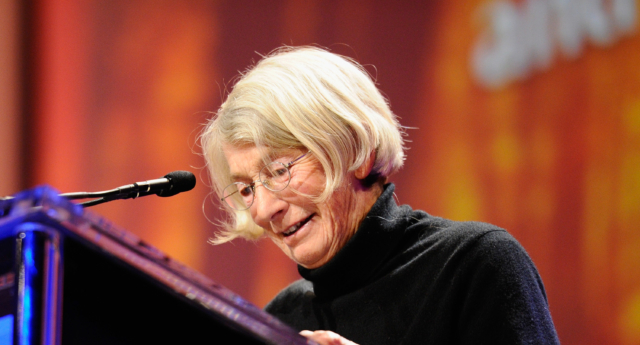 The US poet Mary Oliver, who won the Pulitzer Prize and the National Book Award, has died at the age of 83. Oliver’s literary executor, Bill Reichblum, said she died on Thursday at her home in Hobe Sound, Florida. She was the author of more than 15 poetry and essay collections, which explores themes of nature, the outdoors and human life. Oliver kept her personal life closely under wraps, but wrote of her long-term partner Molly Malone Cook, a photographer who became Oliver’s literary agent, in her poetry. The pair met in the late 1950s and remained together until Cook’s death in 2005. “I took one look and fell, hook and tumble.” Oliver on her relationship with Cook, in the collection Our World. “When it’s over, I want to say: All my life / I was a bride married to amazement. I was the bridegroom, taking the world into my arms.” When Death Comes. “Tell me, what else should I have done? Doesn’t everything die at last, and too soon? Tell me, what is it you plan to do with your one wild and precious life?” The Summer Day. “You do not have to be good. You do not have to walk on your knees. For a hundred miles through the desert, repenting. You only have to let the soft animal of your body love what it loves.” Wild Geese. “Listen, are you breathing just a little, and calling it a life?” Have You Ever Tried To Enter The Long Black Branches? “I want to think again of dangerous and noble things. I want to be light and frolicsome. I want to be improbable beautiful and afraid of nothing, as though I had wings.” Starlings In Winter. “In my outward appearance and life habits I hardly change there’s never been a day that my friends haven’t been able to say, and at a distance, ‘There’s Oliver, still standing around in the weeds. There she is, still scribbling in her notebook. But, at the center: I am shaking; I am flashing like tinsel.” Long Life. But little by little,/ as you left their voices behind,/ the stars began to burn/ through the sheets of clouds,/ and there was a new voice/ which you slowly/ recognised as your own,/ that kept you company/ as you strode deeper and deeper/ into the world,/ determined to do/ the only thing you could do –/ determined to save/ the only life you could save.” The Journey. “I don’t want to end up simply having visited this world.” Consequences. “Love yourself. Then forget it. Then, love the world.” To Begin With, The Sweet Grass.